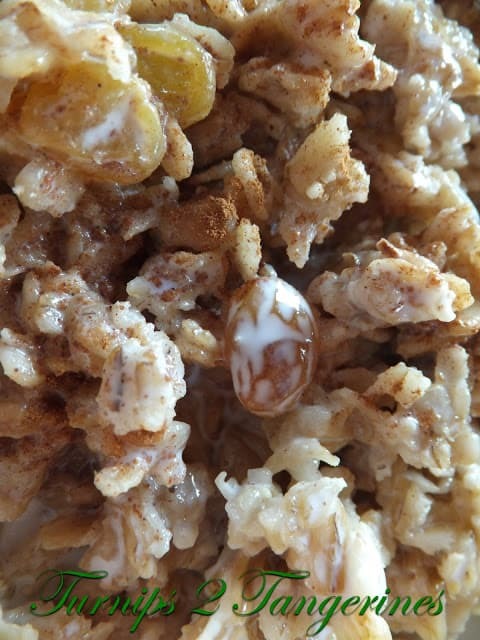 Apple Pie Slow Cooker Oatmeal is Delicious! It’s not only delicious, it’s wonderful re-heated and it freezes well too. 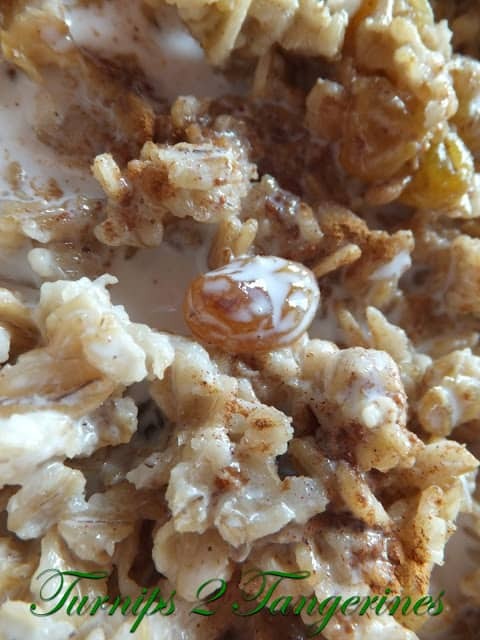 If you haven’t jumped on the slow cooker oatmeal band wagon yet, you definitely need too. We have many slow cooker oatmeal recipes here in T2T. Look through our recipe box and find a recipe you’d like to try and then let us know what you think! Many slow cooker oatmeal recipes are called “overnight” oats or “overnight” oatmeal. Personally, I find that title or name somewhat misleading. I have made a few of these “overnight” oatmeal recipes only to wake up to a slow cooker full of a burnt mess! Hard to eat and clean. That being said, I have changed the title to all of my “overnight” oatmeal recipes and changed the name to “slow cooker” oatmeal. Every slow cooker is different and they all heat up differently also. Most oats will be done, in my slow cookers, between four to six hours. My suggestion is to make the recipe in your slow cooker and time it. Then the next time you make the recipe, you’ll know exactly how long it will take. 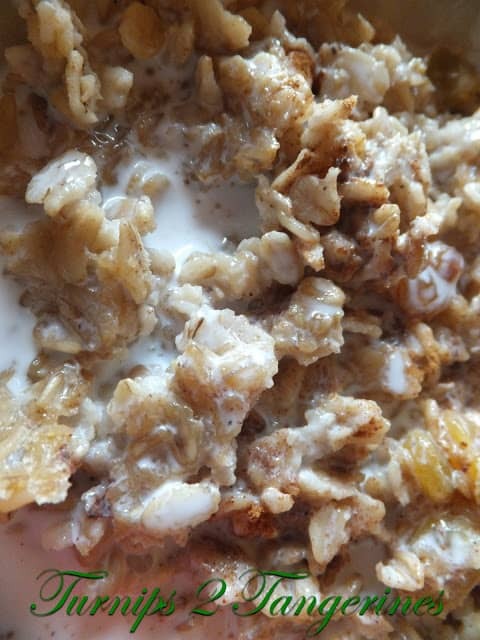 One our favorite slow cooker oatmeal recipes. 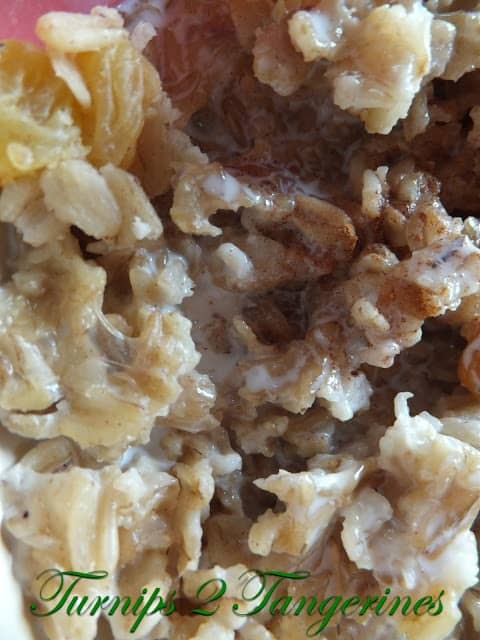 Apple Pie Slow Cooker Oatmeal needs to cook in the slow cooker for roughly 4 to 6 hours. Spray the inside of your crock pot with non-stick cooking spray. Add the ingredients to the crock-pot and mix together. I switched to gluten free oatmeal and it is just perfect and no issues with my gut! I tried this recipe and it smelled amazing overnight. I was so excited to try it in the morning. 9 hours later, cooked on low, it was sour and a wee bit burnt. If I was to try it again, I would cook it on the WARM setting, rather than LOW. Thanks for sharing this at the In and Out of the Kitchen Link Party! I am going to have to give this a try! I am going to be featuring this recipe at my Top 10 post that will go live on Monday morning! Thanks! I have not used my slow cooker to make oatmeal either! This recipe may change that! I love the SRS and trying new recipes! I am happy you are sharing this great recipe at the In and Out of the Kitchen link party. This looks so good I want to make it tonight (I don't have any apples so I'll have to wait) I'll pin it and try it later! Would you mind to link this up to my blog hop? I think our readers will love this. I know that steel cut oats are supposed to be the healthiest to eat, but take the longest to cook. What a great idea to overnight them. Can't wait to try this recipe. I'm new to SRS. Hope you'll visit me too. I made the pancake and fruit kabobs with the butter pecan syrup. Oh I do love oatmeal too, however for some reason it does not like to digest for me anymore giving me much grief. Lots of recipes now we could have used when working full time with a young family, is there not. Cindy…have you tried gluten free oatmeal??? I had the same trouble and since i have gone gluten free the oatmeal no longer bothers me.